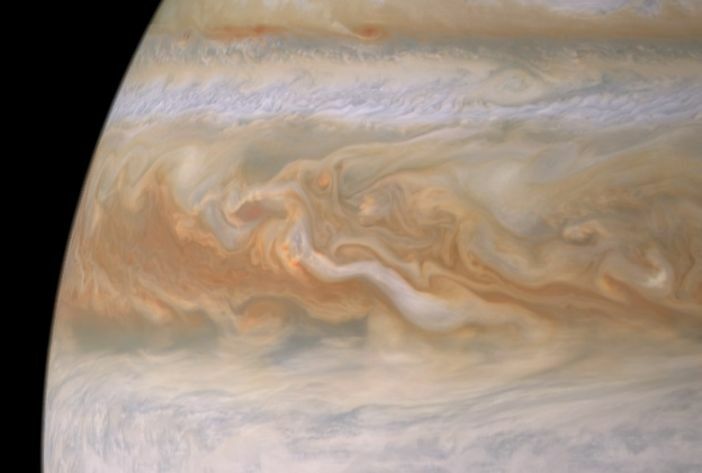 Explanation: Every day is a cloudy day on Jupiter, the Solar System's reigning gas giant. And swirling cloud tops are all you see in this stunningly detailed true color image, a portion of a large digital mosaic portrait of Jupiter recorded from the Cassini spacecraft during its Jovian flyby in December 2000. The smallest features visible are about 60 kilometers across. Jupiter's composition is dominated by hydrogen and the clouds contain hydrogen compounds like ammonia, hydrogen sulfide, and even water. 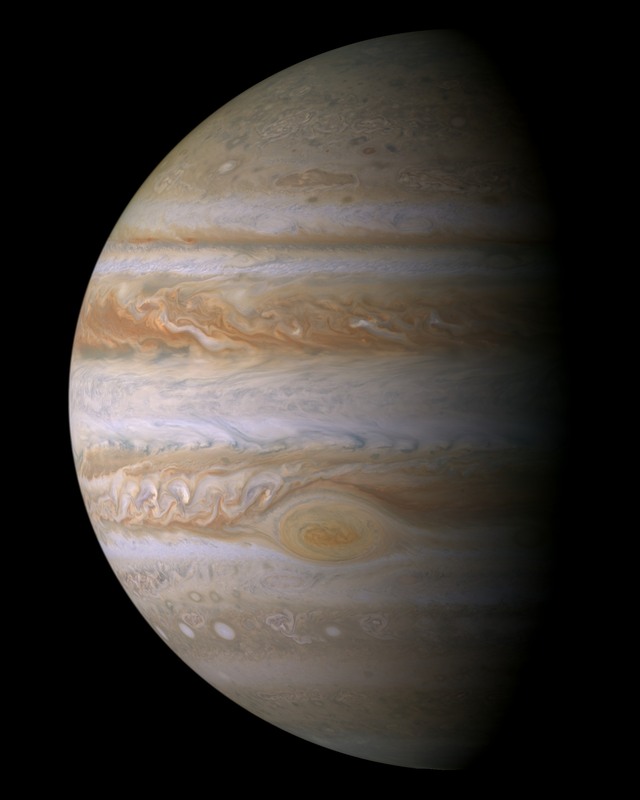 A truly giant planet, Jupiter's diameter is over 11 times the diameter of Earth and the smallest storms visible in the Cassini Jupiter portrait are similar in size to large terrestrial hurricanes. Now traveling beyond Jupiter, the Cassini spacecraft is scheduled to reach the Saturnian system in July of 2004.